Valet testimonials - Swirl Marks, Dent Repair, Supagard. Swirl Marks and dents marked with masking tape. We sorted it out! "With Clean Image you get what you pay for and a lot more besides. 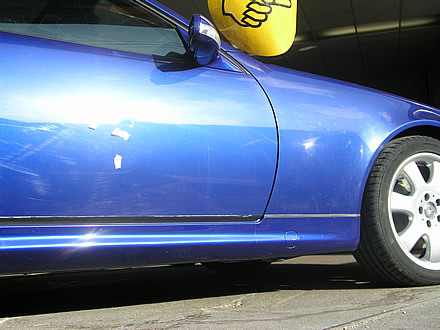 I drove my car down from Scotland to get the exterior looked at - there were a few marks, dings, and scratches when I left my car with Gary and his crew, when I got back the car looked perfect. 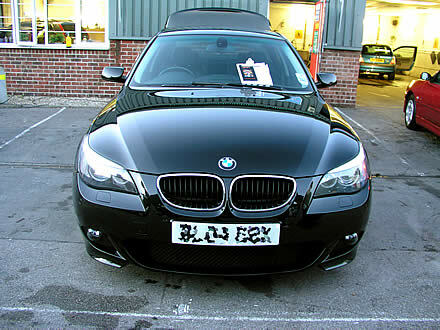 Clean image are now going to be my first port of call whenever I want my car to be valeted. Top class service, top class advice and no broken promises.. What more can I ask? Put it this way, I will be back next year!" "Excellent service, which means I'll be back! Thank you. " "Hi Gary, Pleased with the service received. The quote was competitive and job carried out at such short notice it was worth comming from Milton Keynes "
"Full information given to help choice of treatments. Realistic guidance on care of treated car. Only time time will tell on the durability of the Supagard finish. Very good service as all times for collection were honoured. Just 52 minutes from Clacton-on-Sea! "Informative website to help decide which product to use. Friendly, knowledgable staff guide you through what is involved. Excellent results with finished article, with information from staff on aftercare and promise if things are not exceptable, (ie, if it rains we will give you a free clean) but not required as product excellent. Great service, highly recommended. " "I liked the way you give a personal chat just before you do anything on the vehicle. Everyone was very friendlyand the car looked great when finished." "Being a total perfectionist as I am, I was so pleased to see my car's bonnet return to showroom condition after paint correction. A fantastic shine as if it were straight from the showroom." "The BMW offered me Supagard, but at a much higher price. The results delivered were above expectations. The £20 buff was a great call, removing all the small scratches that really show up in the sunlight. I think we'll be bringing our other cars here over the next few months to give them the same TLC and to keep the resale values high. A great job, thanks. "